Working with moods in meditation helps us see what forms our lives. It confronts us with the way we create our own destiny. Do you consider yourself to be a “moody” person? Maybe not. Yet in a sense everyone is. Every human being lives within a field of characteristic moods. Often, however, we do not recognise these moods to be what they really are: individual and psychologically deter­mined fields of resonance. Our basic moods may have much greater power over us than we realise. We tend to confuse them with objective reality. For example, you may not experi­ence yourself as an anxious person. Instead you see danger all around you – no wonder you’re afraid! Moods can determine life choices. Reducing their power is important for personal growth. In relation to our own emotional undercurrents, we easily become nearsighted. We have no distance to them, and therefore objectify them. In meditation, moods are intensified and thus more easily identified as the subjective undercurrents they are. Through meditation, we can penetrate the blind­ness that our characteristic moods inflict upon us. To meditate is to open one’s mind. The repetition of the meditation sound with a free attitude creates an inner environment in which the mind’s content is given an opportunity to become more naked and near. Most of the time, meditation is pleasant and energising. But at times, it also brings forth restlessness, uneasi­ness, and feelings of inferiority and irritability – under­lying moods that we tend to overlook, but that have a profound influence on our everyday lives. Even in meditation, we do not always recognise them as being subjective. Instead, we treat them as authoritative judgements on the meditation process, the external conditions surrounding the meditation, or the way in which we are meditating. We cannot observe our moods at a distance the way we observe clouds that move across the sky. Moods take a grip on us. When we are irritated, we become captives of the irritated mood. We direct our irritation towards something external. Sometimes we have a strong feeling that we are not meditating properly. Others are surely doing it better? We may understand these negative judgements of our own meditation in two ways. Most often, we feel that we quite simply are meditating poorly – according to some “objective” standard. We mistake our feeling of inferiority for a realistic and valid judge­ment. At other times, however, it may dawn on us that our feeling of inferiority is a part of our psychology. We feel the meditation is going poorly because it has opened us to our negative self-images. During long meditations, we may at times become captive of aggressive attitudes towards the chair we are sitting on, which is intolerably unpleasant and hard. In addition, the room has not been aired properly. To compound the aggravation, those who sit around us incessantly cough, move about and disturb us. Everything seems to be wrong. To begin with, we easily take these moods seriously. Gradu­­­ally, we discover how our mind fluctu­ates during longer meditations. The same chair some­times irritates us, sometimes not. The chair is the same, but our mood has changed. The way we perceive people sitting around us also changes. At times we are disturbed by their coughing, at other times we hardly notice any sounds at all. Again, this has to do with the actualisation of underlying moods during medi­ta­tion. Moods express themselves through our judge­ment of the surrounding world. It is surprising how objectively this can be perceived even for experi­enced meditators. You are a stupid meditator. The chair is hard. People are making an enormous amount of racket. By turning our awareness away from the objective experi­ence of the world, and towards the mood as a subjective phenomenon, we pass a threshold. Medita­tion becomes an introspective voyage of discovery. When we meditate, we should not take the judge­ments of our moods too seriously. The fact that some­thing inside tells us that we are meditating poorly does not necessarily mean that our meditation is unsuccess­ful. On the contrary, it may mean that we are meditating well and have opened our minds to moods and feelings that are usually suppressed. The mood wants us to give up. What is the point in meditating when we aren’t able to do it properly any­way? Over time, we may realise that this inner climate indicates that we should continue. Something that is lying there smouldering in everyday life becomes painfully clear in meditation. In everyday life, the moods may express themselves in a scarcely identifiable feeling that we do not quite master life. In meditation, this vague mood can vibrate more clearly, as a naked string. This emotional undertone has a strong influence on our daily life, even if it is less clear to us there than in medi­tation. A feeling of inferiority can determine choices of vocation, friends and partner. Our basic mood of anxiety can be transferred to our children, who may experience the world as unsafe. Aggressive behaviour patterns are passed on from generation to generation. Getting to know one’s moods in meditation is to see more clearly what forms us, and how we create our own destiny. How may we stimulate this shift – from the objectifying perspective to focusing on the contribution of our subjectivity? Guidance is important. The existential benefit in discussing uncomfortable chairs during guidance may seem rather limited. But at times, surprisingly great insight may be gained by dwelling on the mood we were in when the chair became so important. What does it remind us of when we feel like this? Many believe that it is very important to understand why we feel the way we do. What is it in my individual history that causes me to have this type of inferiority reaction, irritability, anxiety, or whatever? Under­standing the cause of our moods may provide a potential for substantial change. But much of our personal history remains in a fog that cannot entirely be penetrated. Our very early history, which is so important and formative, and which contributes so much to our basic moods, is enshrouded in a perceptual mist, and is inaccessible to memory. What is me, what is them? Comfort may be found in the fact that whether we are able to remember the causes is not decisive for growth. The important thing is to understand who we are today. What moods influence me, what do they make me do, how is my perception of the world formed by my subjective distortions? What is me, what is the others, and what is the world? This is what discussions of meditation during guidance are about. Which moods do I experience in meditation? How do they draw me towards distorting my meditation, or even to discontinue meditating altogether? What similarities are there between these moods and the moods that shape my daily life? By understanding the connection between our subjective moods, perception of the world, choices in action and in life, we delve deeper into our existence in the world. Who am I? How do I choose to live? Meditation can be unusually helpful in this process. Modern literature is often very good at depicting sub­jective moods. At times, we may get the im­pression that man is nothing more. Everyone is sitting on his or her own emotional heap of subjective moods, and I can never understand what it is like for you to be you. In a well-known American novel about modern urban man of the 1980’s, the main character is in a crisis. He thinks that other people cannot really imagine what things are like for him: “They can’t imagine what it’s like for you to be you, they can only imagine them­selves being you.” (Jay McInerney: Bright Lights, Big City). Layer after layer of subjective moods contribute to separating us from one another. This is true, but not completely. To work with introspection is to make use of universal aspects of man. Each individual’s awareness of his own subjective moods may differ, but the introspective process nevertheless has common features. The voyage of discovery, and the unmasking of the subjective filters separating us from the world, is something we can recognise in others. To meditate is not merely to become aware of the peculiarities and subjective traits that characterise each and every one of us. We also open ourselves to common human processes that unite and provide a deeper under­standing of what human beings have in common. Meditation helps us to gain access both to what is unique to ourselves, and to certain basic common characteristics in the human condition. In this inter­action between the individual and the collective, meditation may awaken a deep fascination. 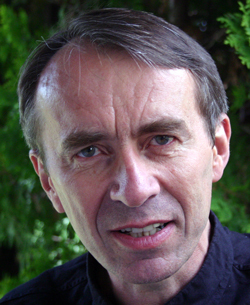 Ole Gjems-Onstad is Professor of Fiscal Law at the Norwegian School of Management and a Meditation Teacher in Acem.